Members of the Meiosis team attended the 9th International Soft Fruit Conference on 10th and 11th January in the Netherlands. The conference, organised by BVB Substrates and Delphy, has grown significantly from the early years, and there are now 94 exhibitors. 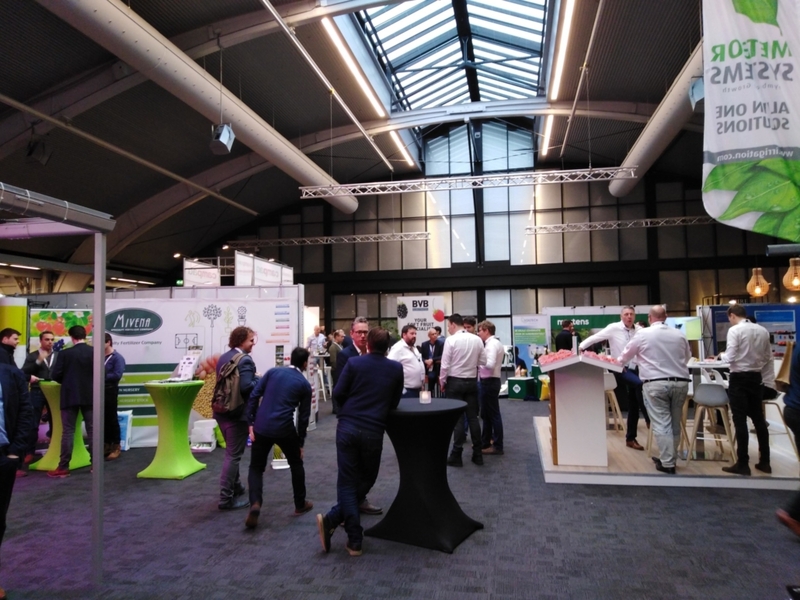 The programme of presentations at Den Bosch was impressive and included subjects as diverse as the berry market, robotics, growing technology and pest & disease control. There was also a fascinating field trip to the Delphy Improvement Centre, and the WUR Wageningen University Research Centre in Bleiswijk, where glasshouse-based trials work was presented, with a focus on the use of LED lights to crop strawberries, raspberries and blackberries in winter. It was great to see such a large number of international visitors, and we were able to have many useful and interesting meetings with growers, propagators and plant breeders. An excellent start to 2019 !